Configuration options for the POD are endless. Each space is designed to have a dual use; spaces are not named as conventional rooms; the owner is free to change their use as needed. Some of the spaces are tiny but the feeling of spaciousness and light persists: the task area is like a cocoon; the sleeping area feels like you are in a treehouse. Contact us to schedule an APPRAISAL. Our architect will assess the site, together with your needs, so that we can tailer the perfect POD configuration for you! Ideal starter-home for a first-time home owner or a simple holiday getaway. Sleeps two comfortably in the mezzanine bedroom. The downstairs task room can accommodate an occasional guest and doubles as an office or laundry room. A corridor between the front and back spaces houses a shower area and the outdoor deck encourages indoor-outdoor living. Two PODs face one another to form an inner courtyard for optimal use of the covered outdoor deck. The two mezzanine and one ground-floor bedrooms accommodate six people while this configuration features larger cooking, tasks and ablution areas with dedicated shower. Two PODs placed side-by side create an open-plan space. The two mezzanine and one ground-floor bedrooms accommodate five people while this configuration features larger cooking, relaxing and task areas. DO YOU WANT US TO DRAW A PLAN FOR YOU? Let us know about it and we'll get back to you. 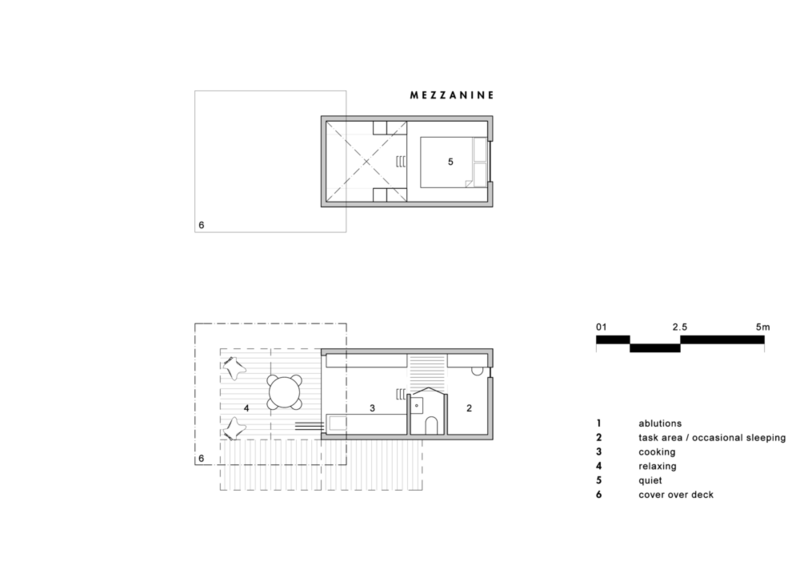 By pairing two PODs one is able to accommodate 4 people in two mezzanine-level bedrooms. The shower area is housed in a corridor between the front and back spaces of one of the units. The double-deck encourages indoor-outdoor living with ample cooking, task and leisure areas. Two PODs placed side-by side create an open-plan space. The two mezzanine and one ground-floor bedrooms accommodate six people while this configuration features larger cooking and task areas with en-suite ablutions for the master bedroom. 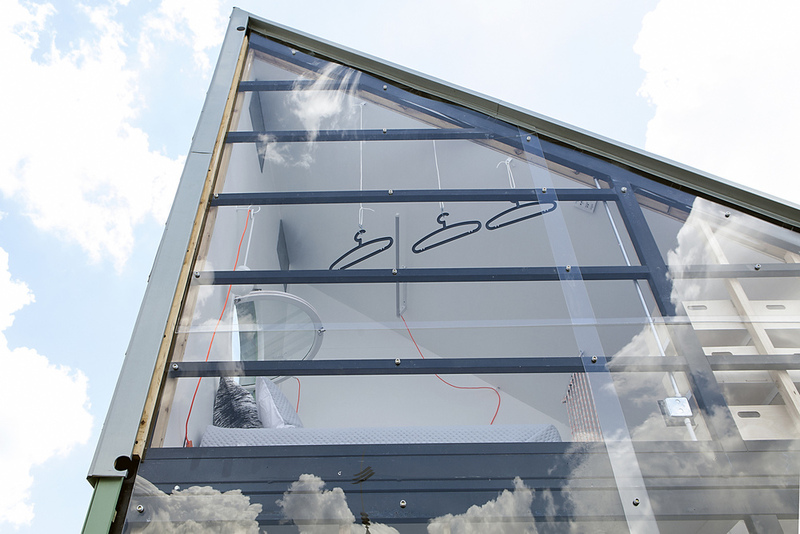 This combination of four PODs accommodates up to twelve people in a six bedroom home. A large covered outdoor deck creates an inner courtyard and encourages indoor-outdoor living. Where are you planning to place the POD?